Large floor areas that need to be kept clean, smooth, and shiny can be difficult to handle with a simple mop and bucket. Aside from such large areas taking too long to clean, it also requires backbreaking work. This kind of job requires the use of floor scrubber equipment, and with the variety of floor scrubbers for sale out there, you need to know which one best fits your needs. There are different types of floor scrubbers, with walk-behind floor scrubbers being the most popular due to the large variety of sizes available, with the largest floor scrubbers usually being the ones that an operator rides on. 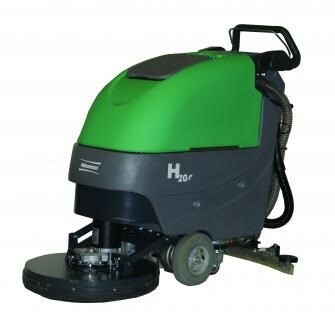 Different floor scrubbers are designed to clean escalators, rubber flooring, marble, hardwood, granite, concrete, brick, quarry tile, and much more. Some of the best heavy duty floor scrubbers can handle most types of surfaces, while some are designed solely for light duty. While a big scrubber cleans large wide open floor areas with ease, a small scrubber’s maneuverability may be what you need in areas with lots of dividers and furniture. Sometimes the choice will be between a large and powerful scrubber that is almost useless in tight areas and a small one which is very maneuverable or something in between. This is why it is important to choose the right size scrubber that suits your needs. Another consideration would be the noise it makes. Automobile mechanic shops or large malls probably don’t mind the noise a scrubber makes because these places are already noisy by default. Places such as healthcare facilities, however, never close and need a lot of silence because of the patients, so cleaning during off hours is impossible. Thankfully, there are newer models designed to make very little noise. Nowadays people put a lot of value in energy consumption, so an energy-efficient floor scrubber may not only be more economical; it can also be the socially responsible choice. Going green is a great way to show your clients and employees that you are concerned about your company’s carbon footprint. As mentioned above, it is best to do your research before you decide what floor scrubber model to purchase.